I told myself that I wouldn't post anymore about The Clone Wars but this episode was just too good to not post. Plus its the conclusion of the 4 part Umbara invasion story arc that started in Episode 7. A short intro of the events (I'm not spoiling the whole thing for you, go watch!) Anakin SkyWalker and Obi One Kenobi are tasked to invade the shadowy planet of Umbara and capture its capital to prevent the Separatists from gaining another ally for their cause. Before the battle however can go any further Anakin Skywalker is called back to Coruscant on the orders of Chancellor Palpatine. To lead his battalion, Jedi General Pong Krell is assigned. Pong Krell is notorious for having the highest clone casualty rate in the Republic and he hides not his bigotry for the clone troopers. This of course leads to conflict between the men and Pong Krell. Caught in between that is Captain Rex who tries to keep the troopers from mutiny as they are near boiling point for the suicide missions (that have no utter regard for the survival of the clones) Pong Krell orders them to do. In Episode 9 of Season 4, against the orders of Pong Krell to not do so; Fives, Jesse & Hardcase use the captured Umbaran fighters from the base to attack and destroy the Droid control ship that is supplying the Umbarans with weapons. Hardcase did not survive the attack, when they came back Captain Rex came to their defense saying that they were acting under his orders. This however did not deter Pong Krell to put them in the brig to await a Court Martial. 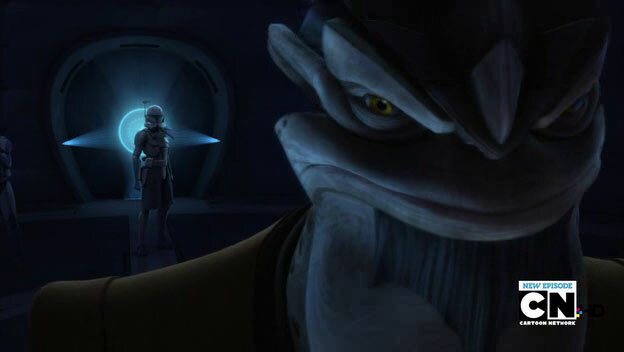 At the start of Episode 10, Pong Krell changes his mind and orders instead for Jesse and Fives to be executed. As the firing squad lines up to execute Jesse and Fives they all miss their shots. Before Pong Krell can unleash his wrath on Rex a message comes in that the enemy is attempting to attack disguised as clones. Rex is ordered to quash this enemy attack. 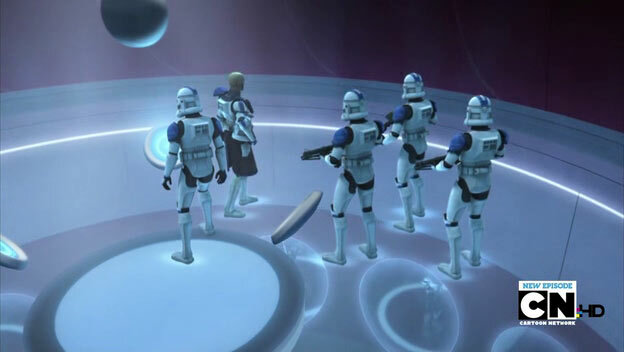 As Rex and his company engage the enemy that are dressed as clones he removes the helmet of one of them only to be surprised to find out that they are indeed clones. Rex orders a ceasefire and as both sides stop shooting at one another, Rex comes up to the fatally injured Waxer, who led the other side. 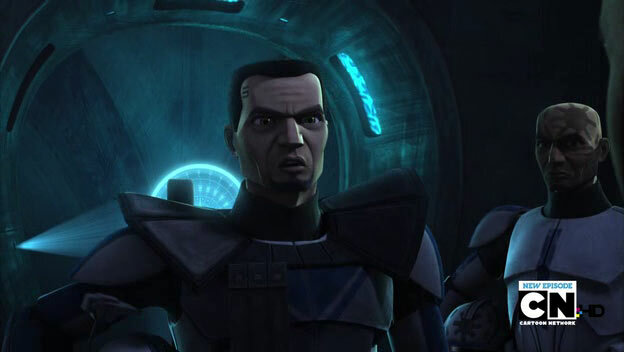 He finds out from Waxer that it was General Krell who ordered them to the coordinates of Rex's team with the order to kill the enemy that are disguised as clones. 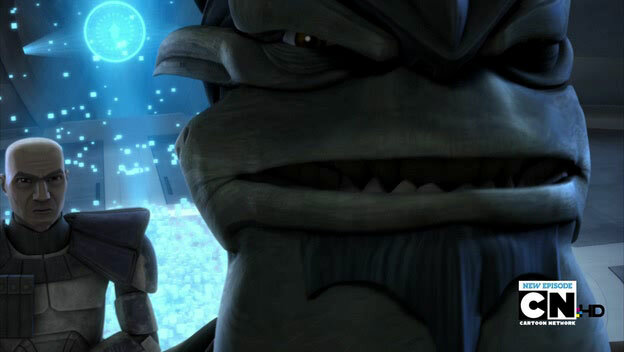 Rex decides there on to arrest General Krell for treason. For having ordered the clones to attack one another. A chase ensues and Krell is eventually captured by the clones. Krell is kept in the brig. 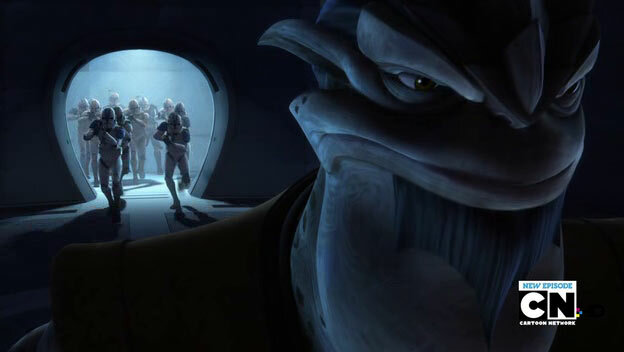 Rex and the other clones interrogate him and it is found out the true reason as to why he was so adamant to sabotage the invasion of Umbara. In the end Krell is executed by the clones to prevent him from falling into the hands of the Umbarans who were coming to take back their captured base. 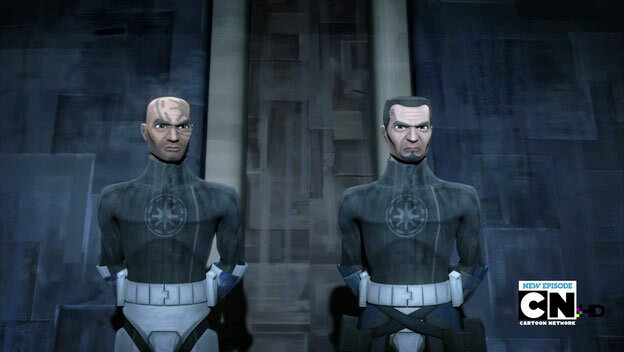 Still slightly on topic, if you know your clones, they you would remember that Fives is a member of Domino squad. Domino squad first came out in Episode 5 of Season 1 titled "Rookies." They were composed of clone cadets: Fives, Hevy, Echo, Cutup and Droidbait. In the Rookies episode they were rookies clone troopers assigned to a listening outpost at Rishi moon that was attacked by Droid troopers. With the help of Captain Rex and Commander Cody (who came in to check on them), they were able to thwart the takeover of the outpost. Episode 1 of Season 3 was all about the history of Domino Squad as they try to fight against their differences and work as a team in order to graduate from the training that will make them full fledged Clone Troopers. 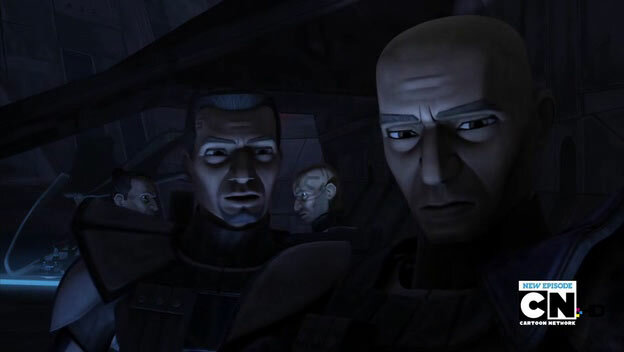 Hevy, Cutup and Droidbait were lost in the "Rookies" episode while Echo perished in the Citadel storyline of Season 3, leaving Fives as the sole remaining survivor of the Domino Squad.